Phoenix Sod - Renovating or Expanding Your Lawn? Do you live in Phoenix, Arizona, and need to renovate or expand your lawn? Purchasing sod is a must for any landscaping project. 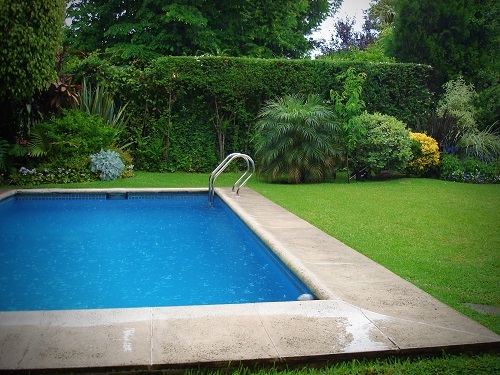 You need a company you can trust, one who delivers high quality Phoenix sod that will make your lawn look spectacular. That's where we come in. Here at Evergreen Turf, we have been Arizona's top experts on desert landscaping since 1999. Our goal is to farm and sell premier Arizona sod for homeowners across the sunshine state. Our sod is also used for golf courses and sports facilities, including the Arizona Cardinals' stadium. We have provided sod to thousands of commercial projects as well. When you buy from Evergreen Turf, you are getting the same sod that demanding professional organizations choose. You won't find higher quality sod in Phoenix. Some consumers wonder whether they should use sod or seeds to grow their lawns. Sod has many advantages over seeds. You won't have to worry about allergies, because sod is pollen free. Sod also requires less water, making it better for the environment, especially in Arizona's arid desert climate. Also, you don't have to wait for sod to grow like seeds do. Sod can instantly give you the great lawn that you want and deserve. We sell several different types of high quality premium sod. Midiron is the most popular turfgrass sod in the state. Midiron is a blue-green, low maintenance brand. Palmetto St. Augustine provides you with bright green turn and performs well in the shade. Celebration Bermudagrass is bluish-green and requires significantly less mowing than other varieties. If you stop by our office, we'll be happy to help you find the right variety for you. You can also visit our website and take our quiz to help you decide which lawn to choose. Key factors include whether your lawn will be in the sun or the shade, the type of lawnmower that you own, and whether you have any children or pets. We are the state's top authority on anything having to do with desert landscaping with sod. We are happy to help you with any fertilization, irrigation, mowing, and weeding questions that you have. Maintaining your lawn in a desert environment can be challenging and proper lawn care is very important. With sod, you conserve water that would be consumed by seeds. Sod is also durable and long-lasting. Experience the Evergreen Turf difference for yourself and join our happy family of satisfied clients. We are confident you will agree that we offer the best sod in Arizona. Contact us today or visit our office. We look forward to hearing from you!